Several episodes back we discussed leaving planet Earth for Mars. No, not the rover, but populating Mars. Bas Lansdorp initiated the Mars-One venture and allowed earthlings to apply for the opportunity to go to Mars by 2023. The world stepped out for this opportunity as the venture collected over 165,000 applicants. Are you going? Mat wants to go, but I think he’ll chicken out. Myself, I’ll consider it after version 2.0 of the voyage. We don’t talk about Nintendo much here on YATS, but we wanted to mention the $50 price cut on the Wii U console from Nintendo. This brings the price down to $250. We speculate on the logic behind this price drop whether it’s due to slow to no sales, or the forthcoming XBox One and Playstation 4 consoles. What the manufacturers really want consumers to see has nothing to do with gameplay, it’s all about content consumption. These forthcoming consoles are going to be glorified set top boxes for online television content. With regards to streaming content, Google also announced HD streaming in Hangouts which has gone away from the H.264 CODEC technology and will assist with hardware limitations. It should give you better performance and video viewing quality. Mat says he noticed a difference in Hangout performance on his mobile devices. So Hugo Barra is leaving Google for Xiaomi. I can’t figure out how to say that company name properly, so hopefully I spelled it right. Anyway, Barra is leaving for an opportunity to work with a company touting tremendous growth. Rumor has it that he’s leaving due to romantic issues with his ex and Sergey Brin. Sorry, this is a tech show. Not TMZ. 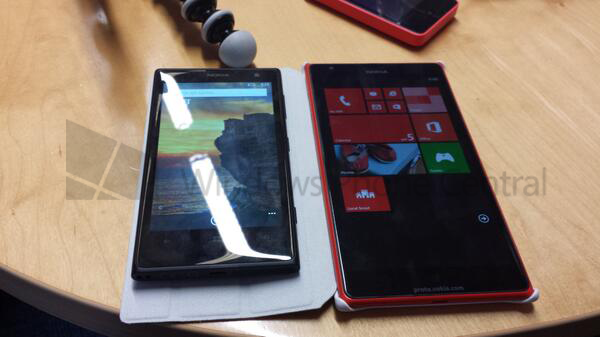 Microsoft had leaked images of its Nokia Lumia 1520. This touts an amazing camera, but also an additional detachable lens. What’s the point of that, Nokia? Why would anyone want to carry around additional gear when they might as well could bring a DSLR? Google has dropped the price of its unlocked Nexus 4. It’s now a $200 phone. . .UNLOCKED. This is a great price for GSM/HSPA+ consumers with AT&T and T-Mobile. I wish Verizon could have a model, but oh well. We all know Verizon wouldn’t have that. The New York Times shared a story that a man could control the brain of another human being over the internet. This is an interesting development. The testing and use is not invasive (for now). Is this something you’d like to be a part of? Where is the line drawn here? A spy satellite was launched from California recently. Yes, a spy satellite. This is probably in the news from the Associated Press because of all of the NSA PRISM fiasco. At any rate, this is supposed to be classified information. Why is it being published on the world wide web? 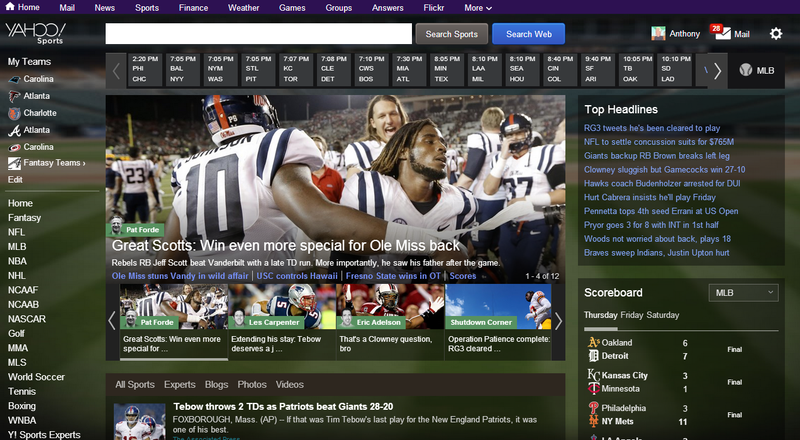 The new look and feel of Yahoo has began rolling out. We discuss what this may mean for Yahoo as well public reaction and Yahoo’s targeted users. The new site shows a little “Google Now-ish” look and feel to it. There are good looking weather, sports and other noteworthy cards. Also, the bigger properties such as the movie page and sports page is revamped. Ok, we know most of you use Facebook. And you know that I, Ant Pruitt, will not be using that service. Check out the read on Eben Moglen who refuses to use Facebook – unless it for $1 million. Eben explains that the security and privacy issues will not allow him to peacefully use Facebook. Yeah most of us know the ramifications of using web services and what’s being tracked, but I honestly don’t mind what Google (and only Google) is doing with my privacy. Google Now has been a daily help in my life with reminders, navigation or just items interesting to me. We debate the fine line of privacy use in our lives. That’s going to do it for YATS this week, everyone. Thank you all for checking out the show each week. Your support is always appreciated. 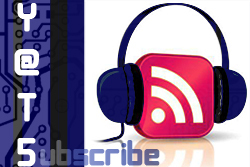 Continue to support us by checking out our subscription options and leaving comments and ratings. 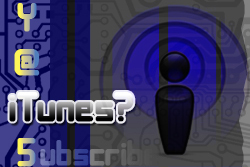 check out our feeds in RSS, iTunes and Stitcher. Also, join our Google Plus community and share stories you find. We may discuss it on the show. Thanks again, everyone!